We don’t sell any of these gifts – and there’s a reason for that. For those shoppers who desperately need help, or are actively trying to find a useless gift for coffee lover, we’re here to help. If dogs and cats love wearing sweaters, maybe coffee mugs do, also. At 11″ diameter and 9″ tall, it’s definitely a large mug. 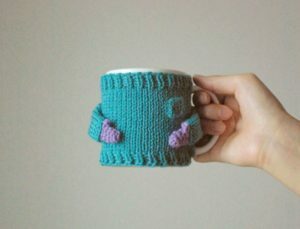 The good news is that there is no need to buy a special sweater for this mug – a human sweater will likely work just fine. Why not? 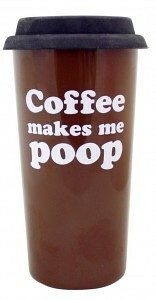 It probably makes more sense than Coffee-flavored bacon. A little, at least. 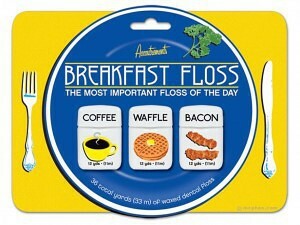 The coffee floss comes as part of a set of floss that also includes waffle and bacon flavors. 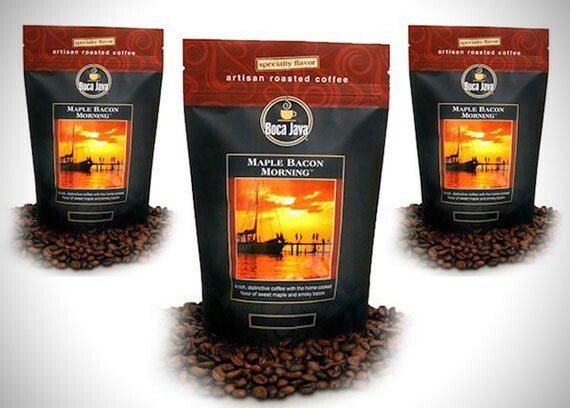 Perfect for getting coffee-flavored bacon out of your teeth. Baristas are amazing people who do a great service for society. Spiderman and Superman couldn’t grind, tamp, and froth. Maybe you don’t drink coffee for the taste – unless it’s bacon-flavored – or the energy. Why not just be honest about it. 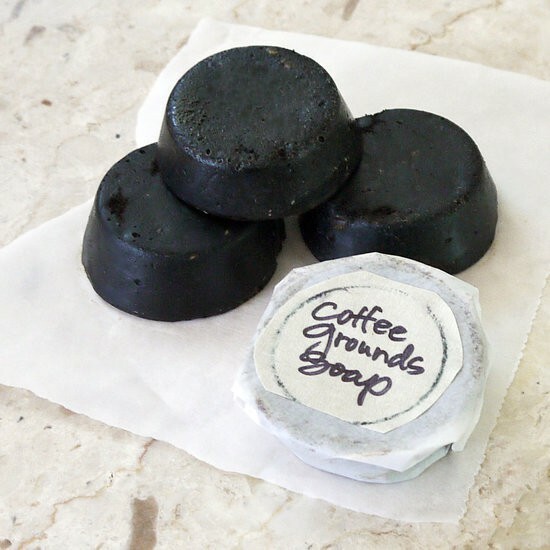 This coffee grounds soap is for the craftier gift-givers who like to make their gifts. Aren’t you glad you saved all those old coffee grounds? Who’s looking foolish now? The picture tells the whole story here. It used to be that Kopi Luwak coffee – coffee that passed through the intestines of feral cats in Sumatra – set the standard as both the most expensive and grossest-sounding coffee in the world. No more. Now you can buy this- for only $545/lb. 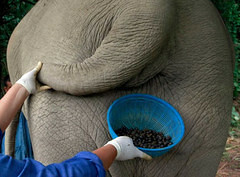 – coffee that has passed through the voluminous intestines of an elephant. This is for the shopper for whom price is no object. We hope this guide helps to make your holiday gift-buying easier. If you just need a regular old coffee maker, be sure to consider CoffeeMakersUSA. Featured photo by SMI Eye Tracking, Coffee Mug Sweater photo from Incredible Things, Gigantic Coffee Mug photo from Allures and Illusions, Bacon-flavored Coffee photo from Incredible Things, Breakfast Floss photo from Archie McPhee, Barista Action Figure Photo from Accoutrements, Poop Travel Mug Photo from BaronBob, Coffee Grounds Soap photo from Pop Sugar, Elephant Poop Coffee photo from The-Elephant-Story.